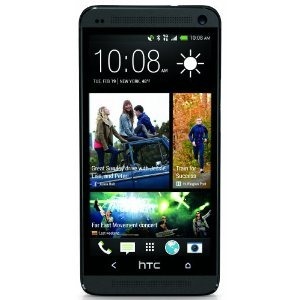 In case that Google Play Edition HTC One doesn't strike your fancy, or the price tag is too outlandish, there's always the subsidized carrier version. 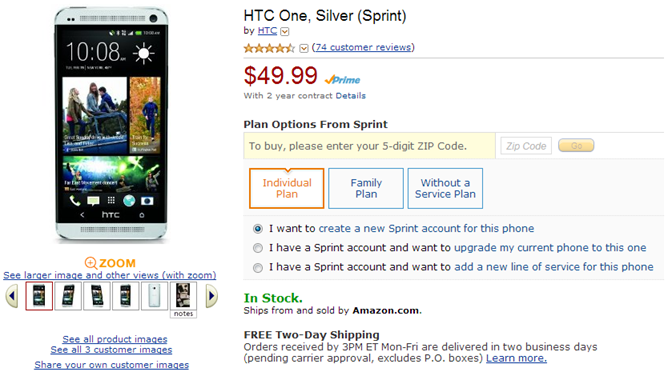 Amazon has chopped a bit more off the cost of the HTC One on both AT&T and Sprint. Both devices are now $49.99 with a new line on a 2-year contract. This deal matches what WireFly did for the Sprint model last month, but that retailer doesn't offer AT&T phones at all. There are always little twists in these deals, and this time it's a good one. While you are stuck paying $99.99 on both carriers for upgrades, any new line is eligible for the $49.99 price this time (not just a new account). You have your choice of black or silver on both carriers, but we're only talking about the 32GB version. 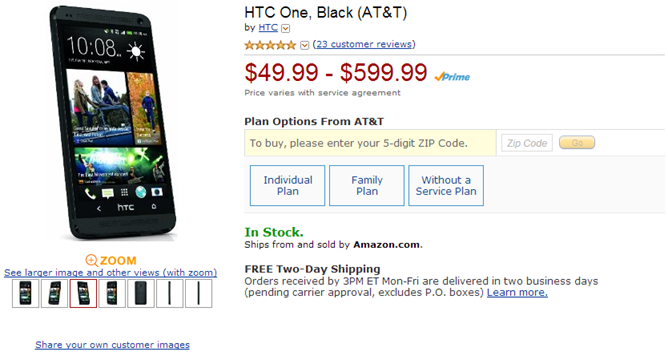 That neat 64GB edition is still only available through AT&T proper. Remember to grab the free $25 Google Play credit from HTC, as well. That's still going on through July 15th.